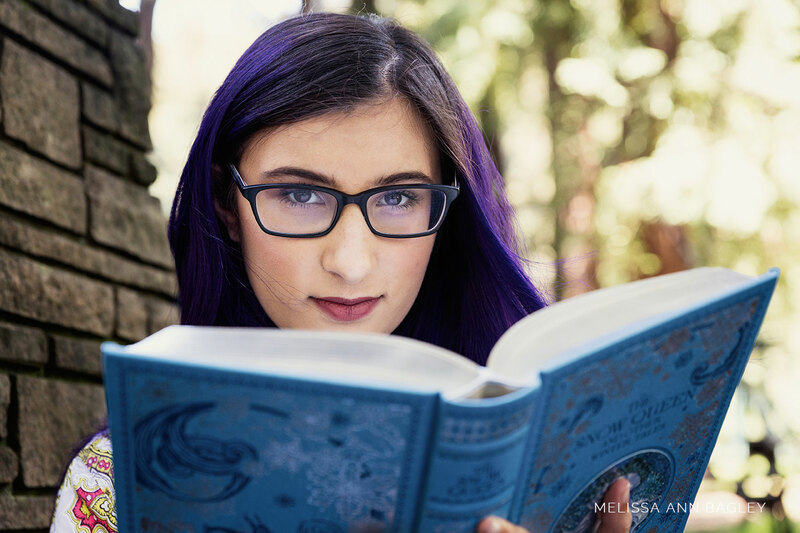 For her portraits, we went ventured into the Santa Cruz hills to a covered bridge her mom had discovered a few months back. It was a beautiful area, surrounded by trees and a gushing river. 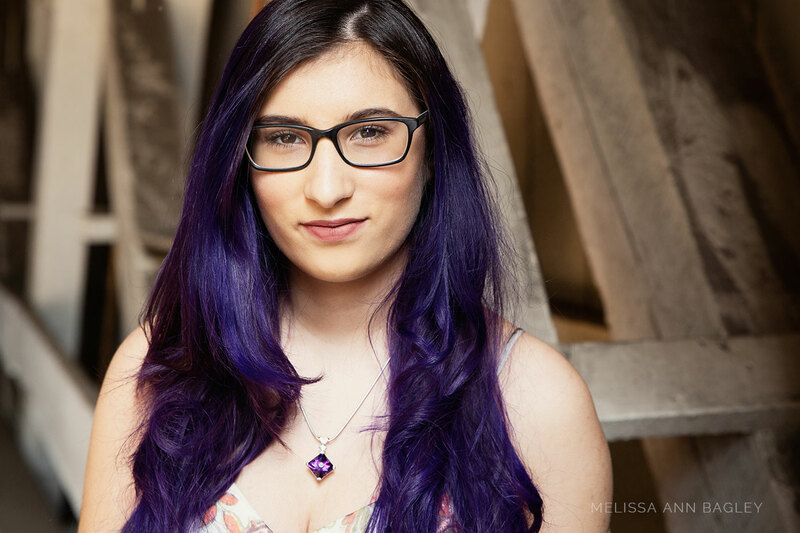 In short, it was perfect for her senior portraits! 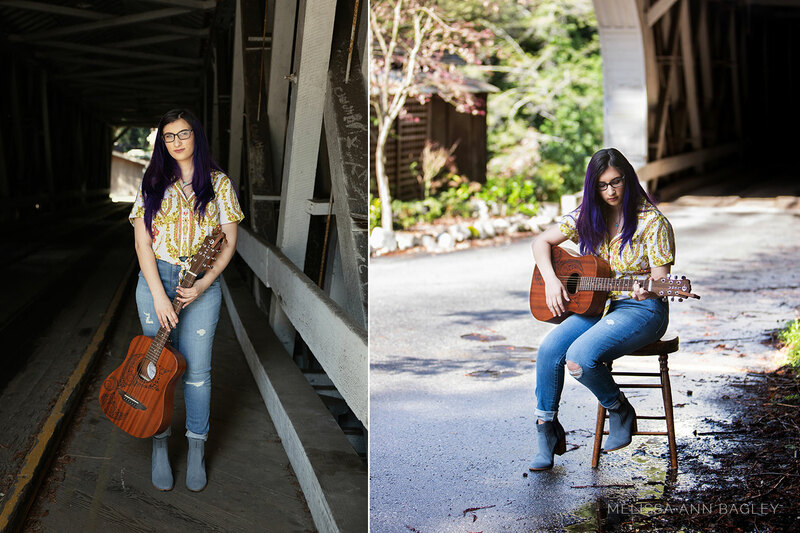 To make sure the photos were “Lili” through and through… I photographed her in two different looks and with things she holds dear – her books, guitar, and ukulele. Personalizing her shoot really made all the difference. It went from a shoot that could have been any high school seniors to one that was just for Lili. Congratulations Lili! I can’t wait to see where life takes you next! Do you have a teenager graduating from high school this year and need beautiful portraits to commemorate the event? Please contact me here for more details.